If you need an in-home electrical inspection, Philip M. Brunelli Jr. Electrician is there for you! Did you know electrical problems are the largest cause of property damage in home structure fires across the U.S.? Our highly-trained staff can help identify any problems and repair them if necessary. An electrical inspection is a thorough examination of your entire electrical system. 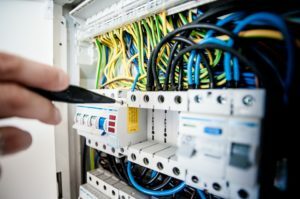 Our technicians will ensure that all of your electrical wires, systems, and components meet legal safety standards.